For those of you celebrating Christmas, you know Santa Claus has been around for generations. And every year he still checks his list twice to find out who's naughty and nice before delivering gifts to children around the world via his high flying old-fashioned sleigh and nine reindeer. 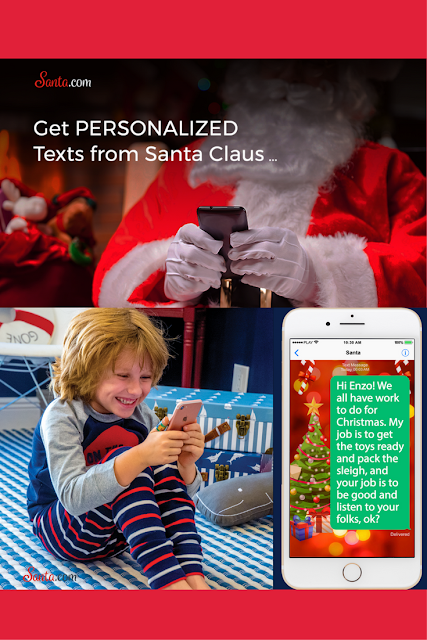 But here's something you might not know: Santa has gone high text and is now sending personalized texts to kids everywhere via a fun family friendly site called Santa.com that you should check out. That's right, Santa is real. Thanks to Santa.com, the newly redesigned and engaging official site of Santa Claus, that familiar jolly old fellow in a red suit is hipper, more modern and tech-savvy, brightening kids' holidays with emails and personalized texts as well as old-fashioned handwritten letters which are new this year. That's not all. Don't forget to enter for your chance to win an awesome Santa-inspired prize package (3 Prize Winners will be selected). Each prize pack everything pictured below: ONE (1) Ornament designed by Christopher Radko for Anderson's of Nantucket - 1/300 limited edition; ONE (1) Santa.com Fidget Spinner wrapped in branded gift paper and ribbon; ONE (1) Santa.com eco-friendly folding tote bag; ONE (1) Santa Libs story book and coloring pages; ONE (1) Santa.com bumper sticker; and ONE (1) Santa.com pen. 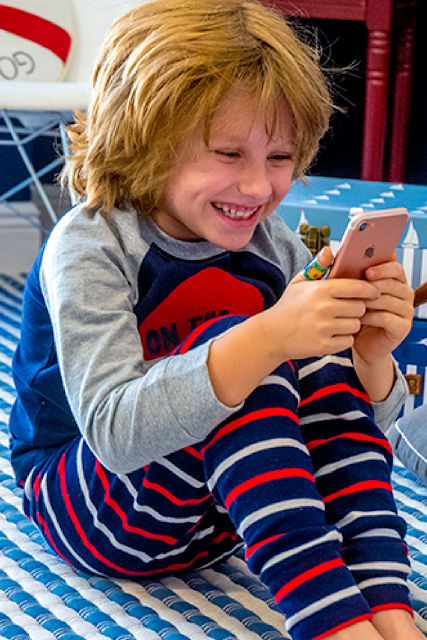 Get texts from Santa December 1-25 for just $2.49 (regular price $9.99) by finding the hidden Santa.com code. Here's how: First, download the Blippar App from the iTunes store or Google Play. Then visit Santa.com and hold the app over any image on the site. One of the images will reveal your hidden coupon code. Learn more by visiting the official site Santa.com as well as following the brand on Twitter at @GarlandTheElf and @SantaDotCom, Facebook, Instagram and Pinterest. FTC Disclosure: I am receiving compensation in exchange for my work on this review and giveaway post. However, ideas and opinions here are my own. See complete FTC Disclosure information that appears at the bottom of MommyBlogExpert's main page and at the bottom of every individual post on this blog, including this one.